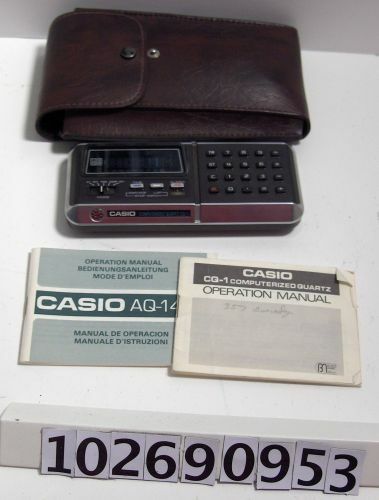 The artifact comprises CQ-1, carrying case, and two operation manuals. The manual in English is labeled "CQ-1 COMPUTERIZED QUARTZ OPERATION MANUAL." The second manual in six languages is labeled " AQ-1400 MANUAL DE OPERACION."